The energy saving bungalow in the "L" shape that is suitable for lots of minimal width 12.8m (clear distance of 2m on both sides). 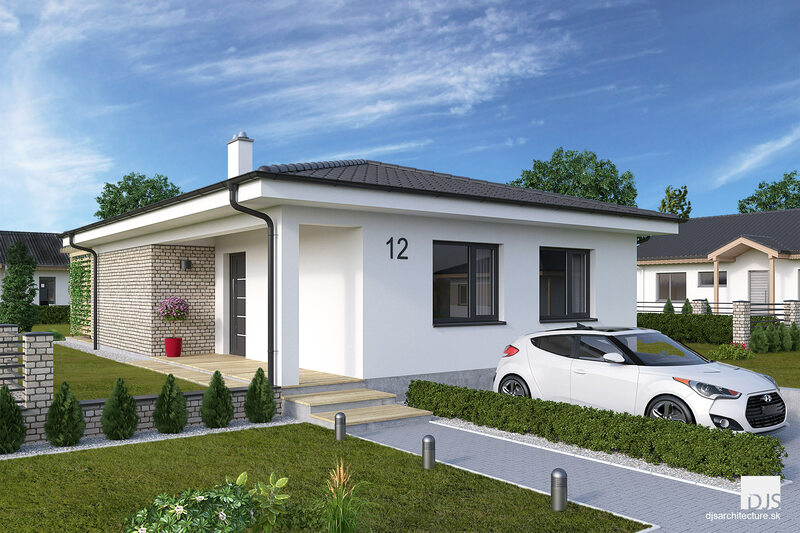 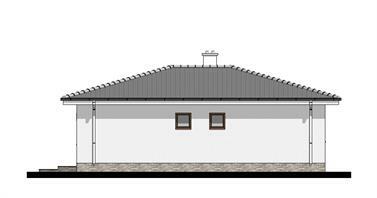 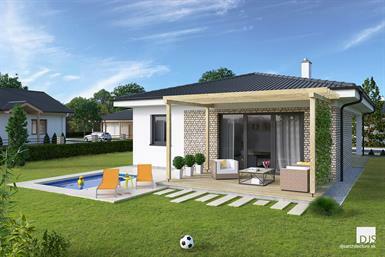 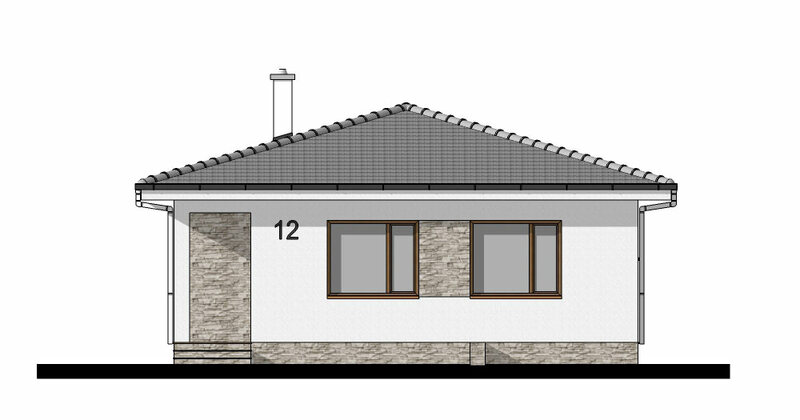 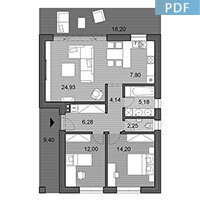 L75 is a two bedroom, energy-efficient bungalow in the shape of "L" that is suitable plots from the width of 12.8 meters (clear distance of 2,0m on both sides). 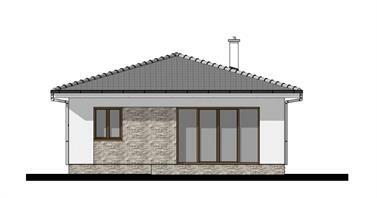 The entrance is located on the leeward side created by the shape of the house. 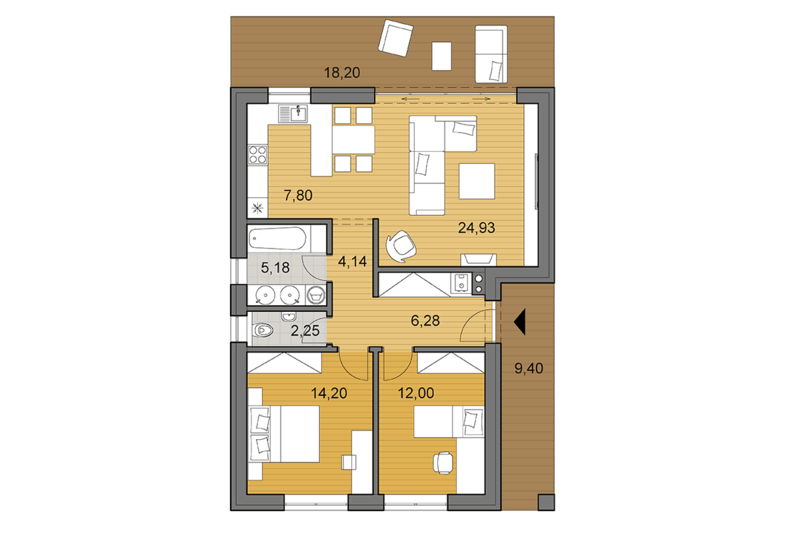 The entry hall contains decent storage space. 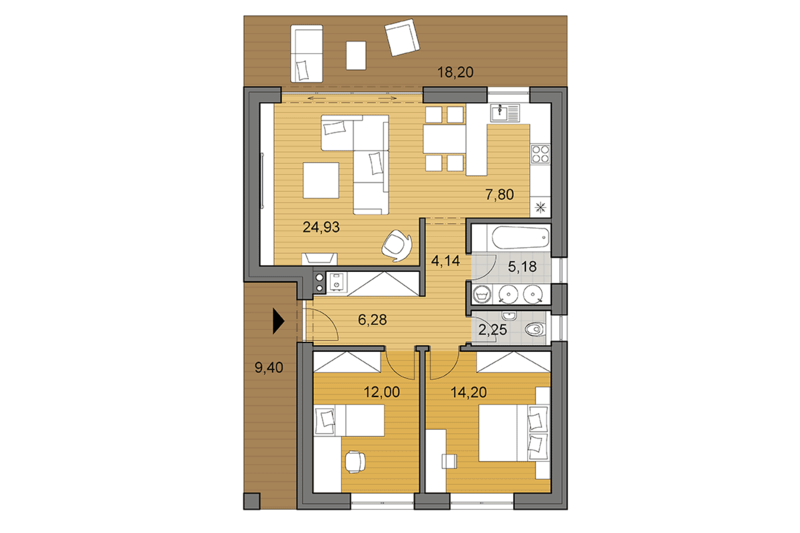 The layout consists of living room connected to dining room and kitchen, which can be saparated by additional wall, if desired. The living room has direct access to the terrace through a glazed wall which also provides connection with the exterior. 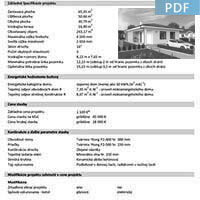 The house has low energy consumption for heating, optimized building construction and is suitable for self-build. 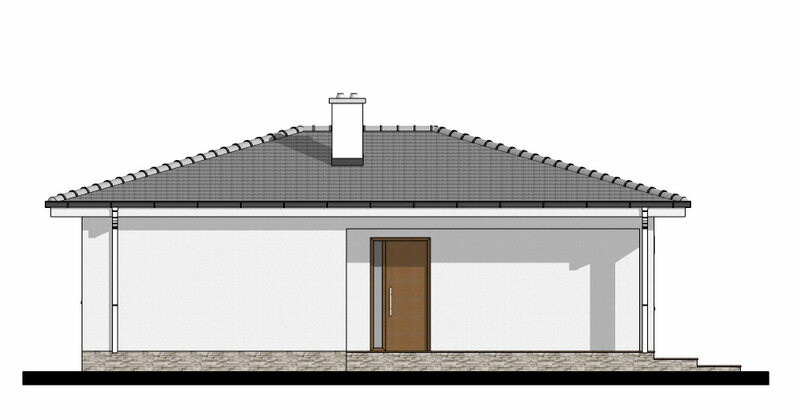 The house is designed as a combination of white plaster and a stone cladding of beige color. 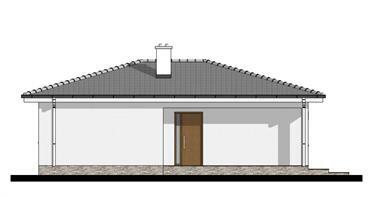 The roofing is concrete of dark brown color, the windows are plastic of anthracite color.